In business, you can’t afford to be forgettable. And the quickest way to connect with an audience is by having a laugh. The world’s greatest influencers know the power of a well-timed joke, and research shows that people who use humour effectively are rated higher by their colleagues, get paid more and climb the corporate ladder faster. But the best news is that being funny is a learnable skill! 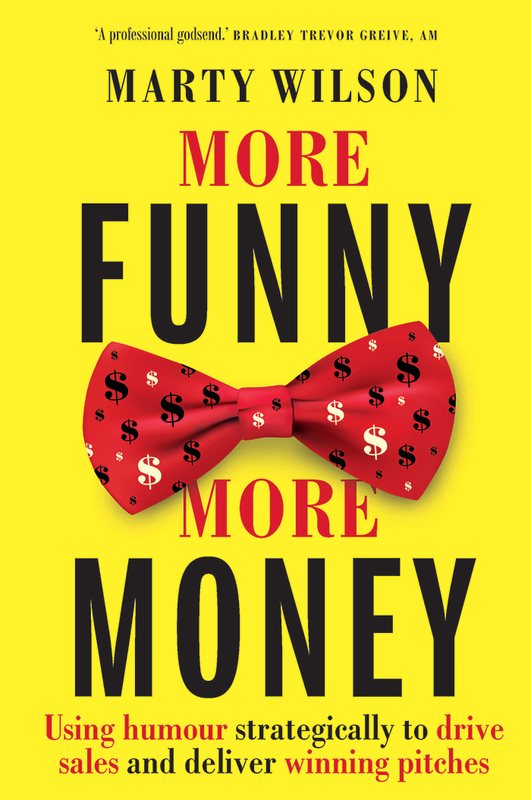 In More Funny, More Money award-winning comedian and TED speaker Marty Wilson shares tips and tricks for ‘funnying up’ business and improving your speeches, presentations and sales pitches. Discover how using ‘risk free’ humour can increase your ability to influence your peers, help you land that dream job and make you a more charismatic leader. Plus Marty lifts the lid on secret techniques used by stand-ups to craft funny stories, get any audience applauding, and – perhaps most importantly – recover when a joke falls flat. Entertaining, outrageous and enlightening, with this book business need never be boring.